Hey ever’body! 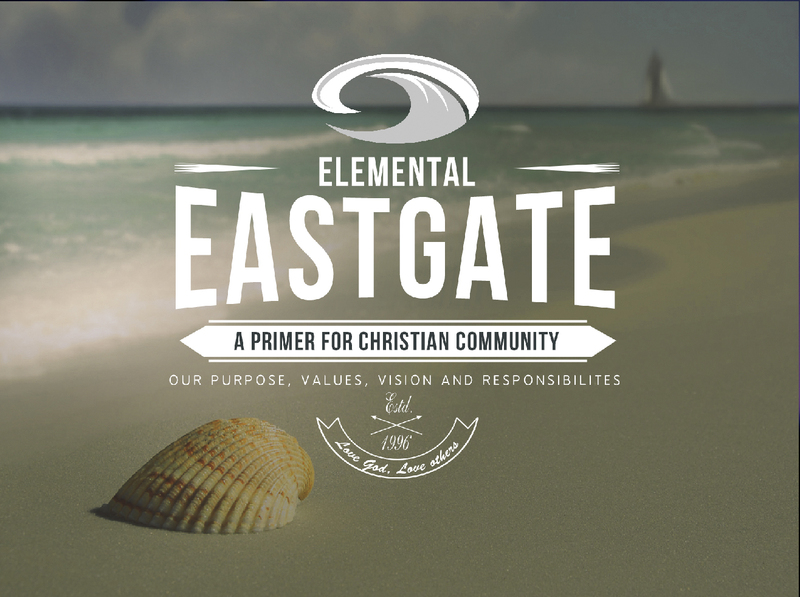 This Sunday we’ll be starting a short (3 Sunday) series on the basics of Eastgate – what our purpose, values, vision and responsibilities as a church are. It’s pretty important for us to all find ourselves on the same page concerning these things. Since we don’t have a formal membership in our church, this is a way to remind us about why we’re here and what we’re up to. Hopefully, it will lead us towards a unity in our pursuit of Christ. This Sunday we’ll be looking at our purpose…sort of asking, “Why is Eastgate a thing?” We’ll be examining what we believe the church is purposed to do universally, then we’ll look at some specifics as it touches our unique group. One thing we’ll be talking about is grace. Eastgate is big on grace. There are reasons for that, which we’ll expound on this Sunday – and we believe there is a Scriptural necessity behind this kind of emphasis. Over on the Eastgate group page in Facebook, I started a thread where I asked if any of you have had a significant encounter with God’s grace at Eastgate – and if so, how did it happen and what effect did it have on your journey with Christ. I’ve really been touched by the responses. Head over there and share your experience with God’s grace – I’d love to hear your story! The thread is found HERE. The church world can be lonely, especially for someone who emphasizes being with God and growing in his love. I am grateful to have found a safe place (a community) that is comfortable with God’s love as the inner content of doctrine, of the bible, of our journey. I have found a safe place to openly join with others in an ongoing discovery of God as perfect love. I have found a place that values love, grace, and freedom. And I think it’s catching on in the larger world!